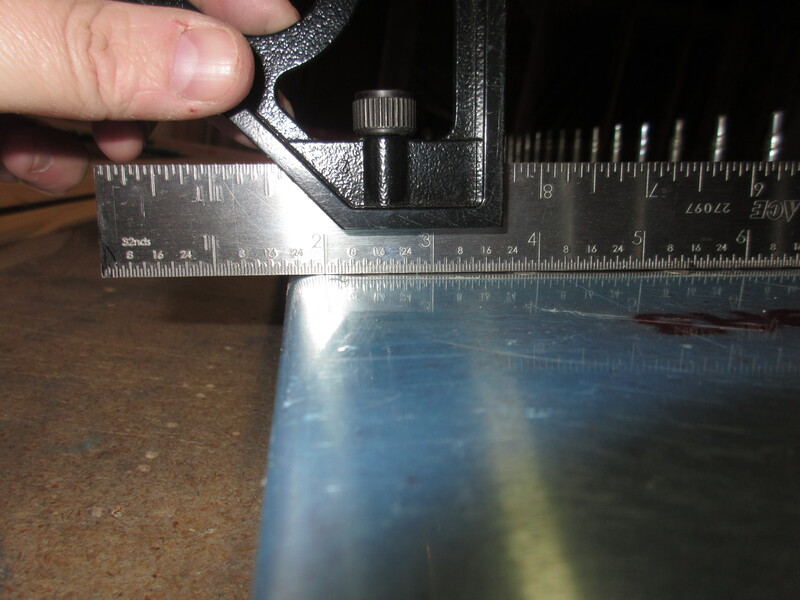 I built my bending brake / jig for the trailing edge of the elevators tonight, and decided to give it a whirl on the right elevator. 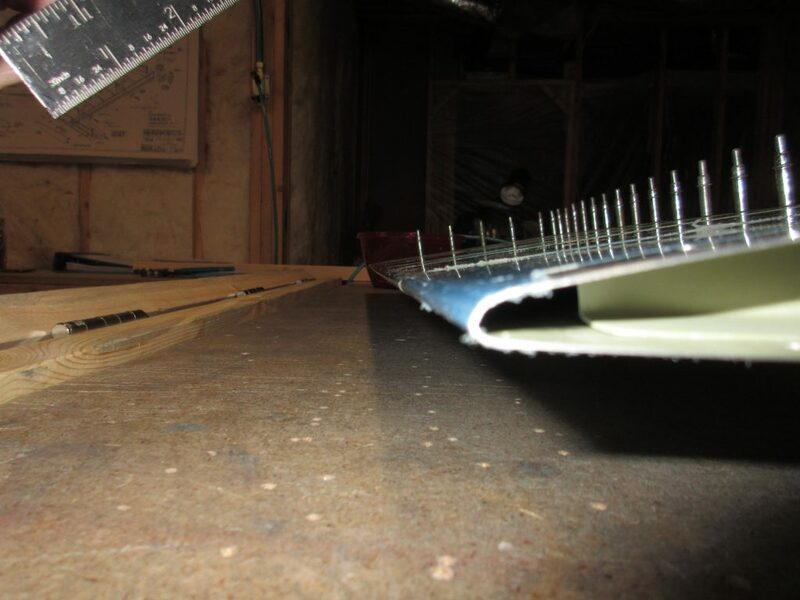 It came out really good, and it looks like the trailing edge is going to be straight as an arrow. I had been working on the plane earlier today, but took a short little break and started back at it. 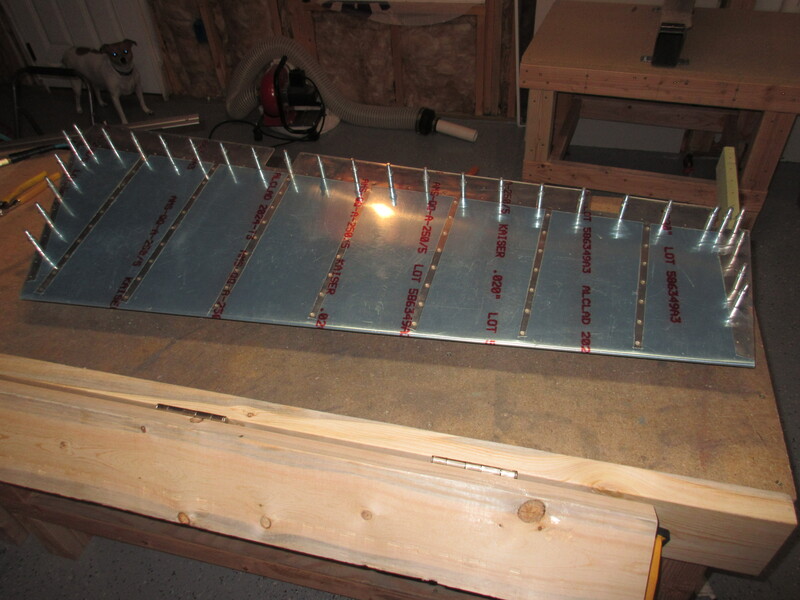 First up, I had to build my bending brake / jig using some 2×6 boards that I picked up a couple of weeks ago from the Lowes Aviation Suppy here in town. Van’s has some directions on how to build a simple little brake, but I have modified it very slightly per some suggestions from Vans Air Force members. 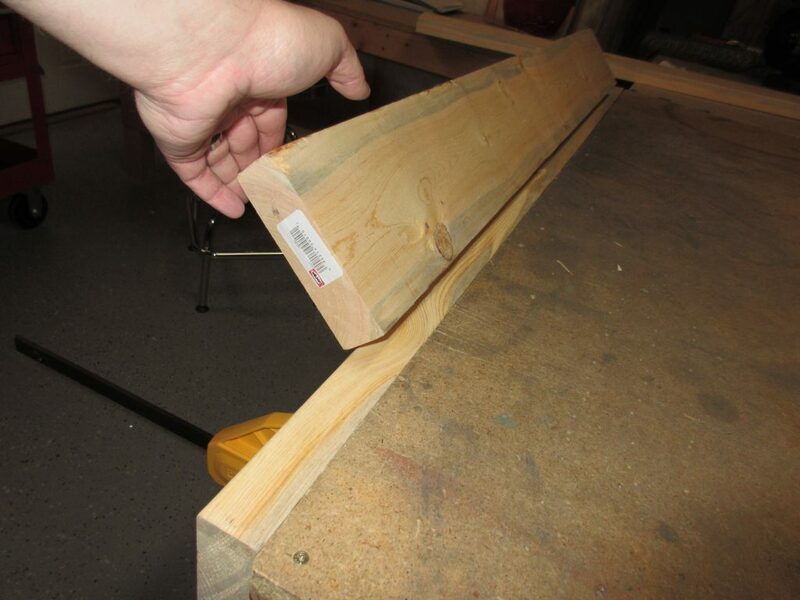 Instead of hinging the 2×6 boards so they fold width wise, I hinged them so they fold on their narrow side, which should make the break much more sturdy. 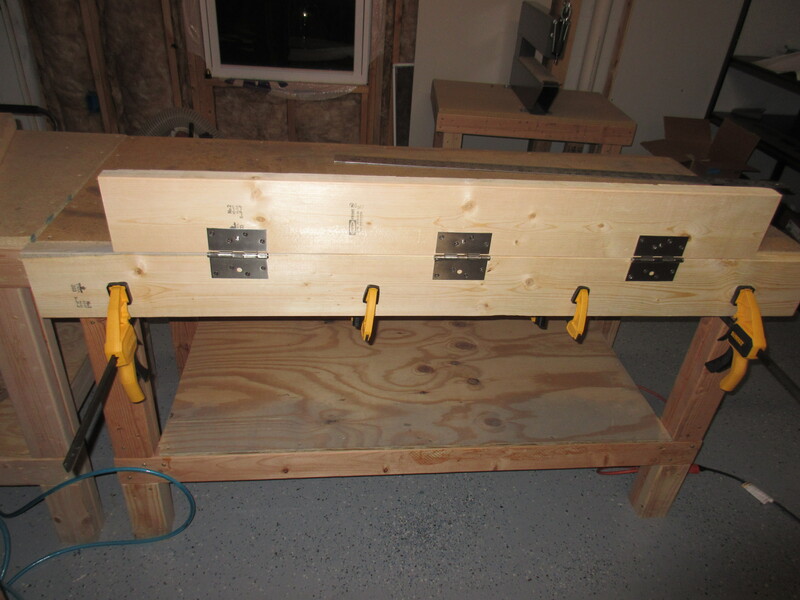 This lets me clamp the brake to my work bench so I can use it easier, and gives a nice flat surface for the elevator to lay against during bending. It also lets me use more leverage. 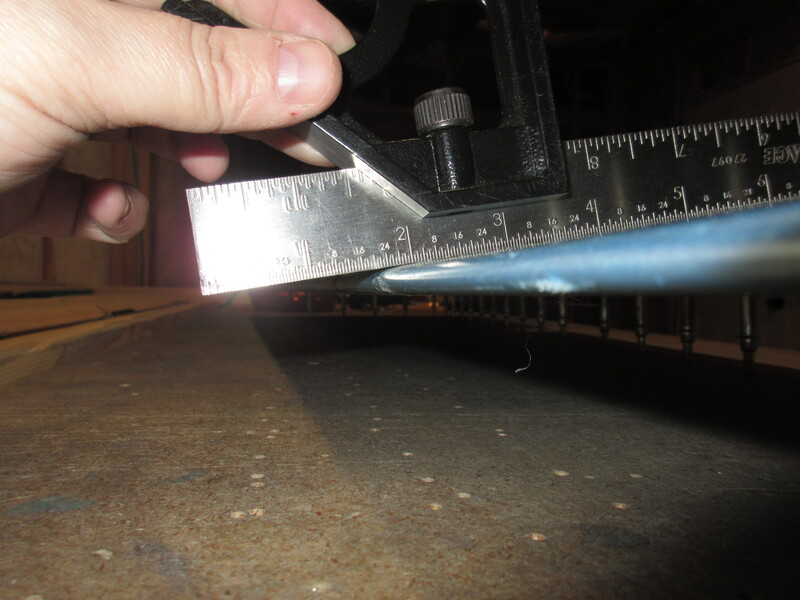 Bending the trailing edge took a bit more work than what I was thinking. It takes quite a bit of force to get this thing to lay down! I did my bending in short easy bends so I didn’t over do it, checking as I went to make sure the elevator is bending straight. After several rounds of applying pressure, removing the elevator and checking it, I finally started to get it close to being bent. Tagged Right Elevator, Trailing Edge. Bookmark the permalink.